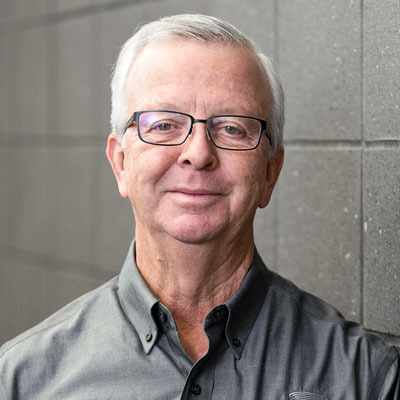 Norris “Slup” Slupianek, who holds a degree in Construction Science from Kansas State University, has served Conco clients as a superintendent/general superintendent for nearly four decades. He manages the daily activities of all Conco crews and subcontractors and bears the chief responsibility for keeping projects on schedule and under budget, coordinating personnel, materials and equipment to ensure the highest quality. Slupieanek spends 100 percent of his time on jobsites and also coordinates weekly safety meetings with field personnel to guarantee maximum jobsite safety. Conco is virtually the only company he has worked for since graduation, he says. “When we were a smaller company, it was a family atmosphere. As we’ve grown, I believe we’ve tried to maintain that connection as much as possible. If you look at years of service from management to craft workers, you’ll see respect and dedication working both directions.